I think Finding Apps that are going to be worth the download and that you can actually use in your everyday lives is something hard to do, with the amount of apps soaring into app stores monthly it can be hard to keep up. Therefore we searched for apps that we think are relevant for you to download. If you own an apple device you’re going to love the app we came across! Ever find yourself setting tasks to people via text and they forget the tasks they need to complete in the day? Do they write them down and forget to even check them? Well they’ll forget no more! This app allows you to remind them! Redwood Apps are passionate about building beautiful apps for iPhone, iPad and iPod touch. They are committed to bringing the most unique and innovative apps to the market, always with the intention of giving the user the best experience possible! 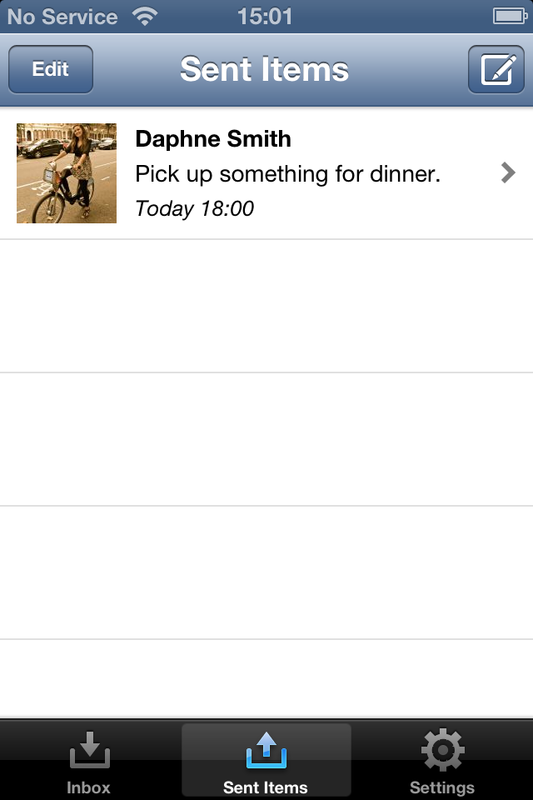 iRemindU is a unique and innovative reminder app that lets YOU send reminders and tasks TO friends and family! 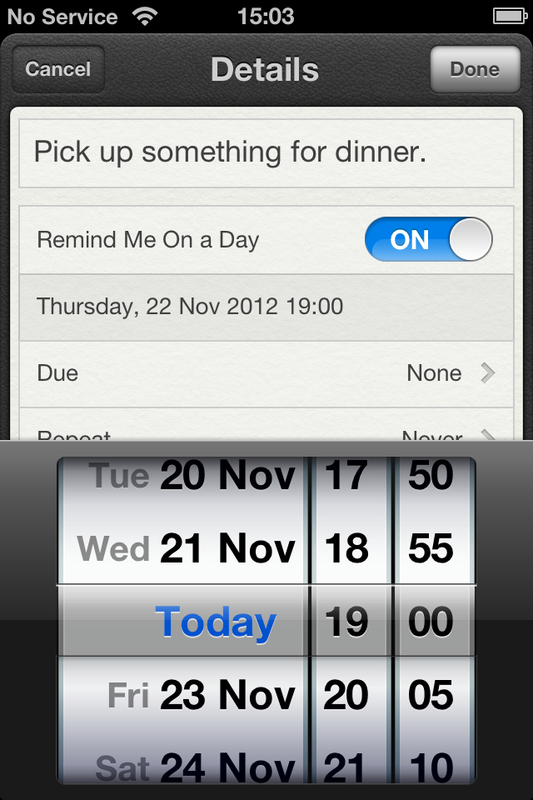 Ideal for the little things in life, iRemindU is a great way to remind others to get things done without looking like you’re nagging them (well, not a lot anyway!) 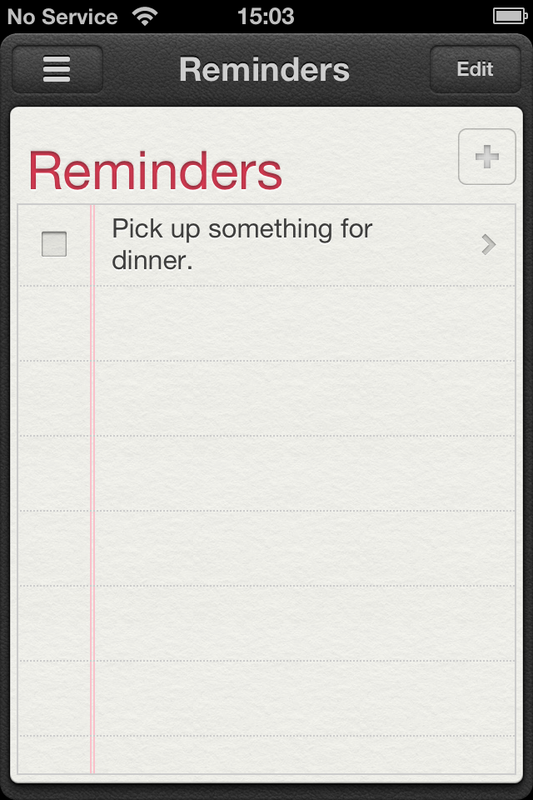 Unlike a text message that can be easily forgotten. 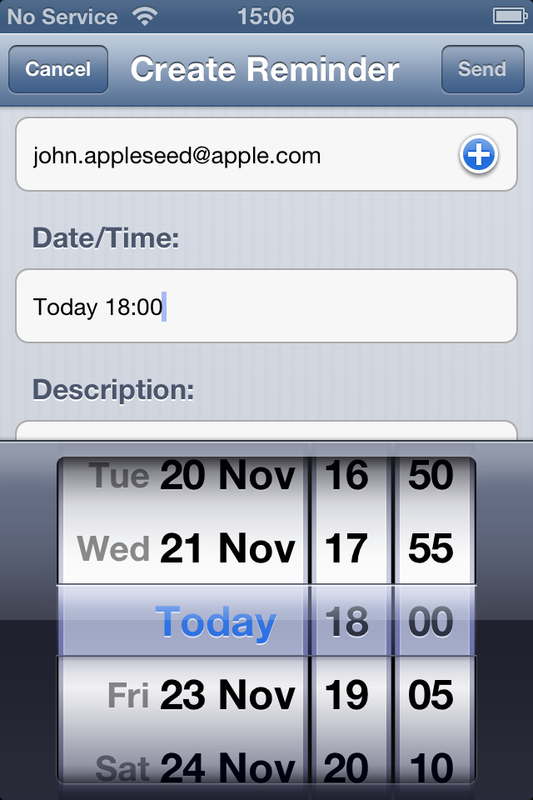 iRemindU works seamlessly with Apple’s great Reminder app, utilizing all its amazing features – enabling you to add geo-location, change the time of the reminder and sync it with reminders on your Mac, iPhone, iPod touch and iPad. Best of all, it’s FREE so you can try it out risk-free. If the person you’re sending it to already have iRemindU installed on their device they will receive the reminder instantly via an internet connection. 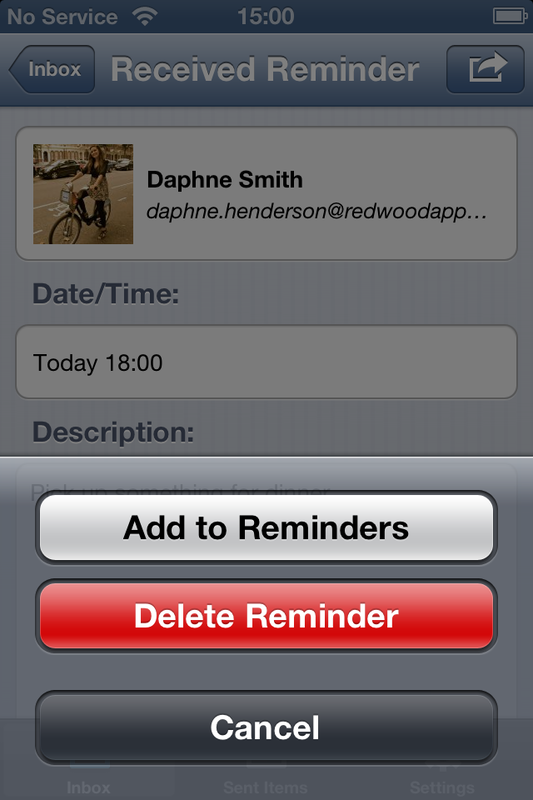 They can then decide whether to accept or delete the reminder and then pop it automatically into their Apple Reminders app where they can edit it if they like. Easy! What if the person I’m sending the reminder to doesn’t have iRemindU? The good news is that even if the recipient doesn’t have iRemindU, they will be sent an e-mail notifying them that you’ve sent them a reminder with an invitation to download the app for FREE. 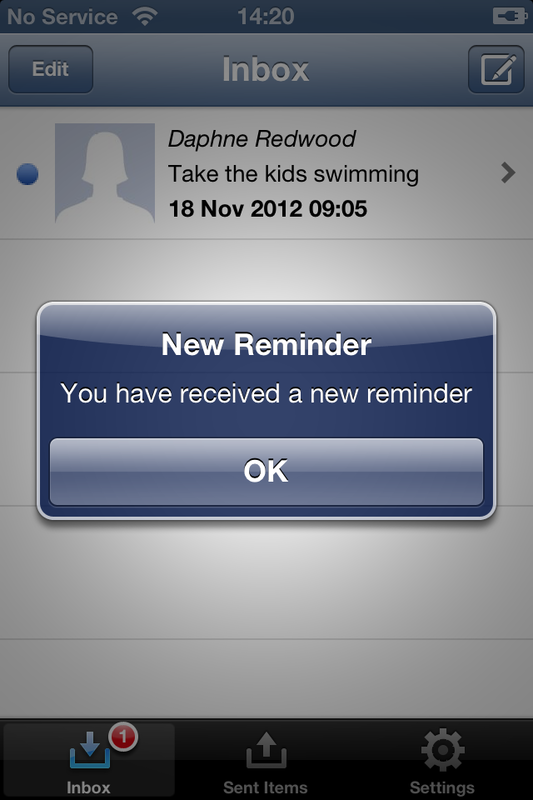 I love this app because it is a convenient and effective way of reminding someone. You know they will not only see it but it will remind them at the due time. The app is easy to navigate around and designed well for the user. It’s a shame this is not available on the Android Platform but as it is a amazing app I will recommend everyone to get it! Plus it is FREE! Still not sure? Well thanks to the Publisher of Redwood we got a few screenshots to see how it looks! Choose whether to obey or disobey! Still not sure if you’re going to download it? Seriously? You’re a tough crowd!